One of the most important things for a corporation today is a solid online presence. An online website that is well-designed, well-updated, and always stays up will draw in many customers for the business. It is crucial to have an online presence to compete in today’s market and to build up a nation-wide or even possibly a global brand name. Without an online presence, you are missing out on introducing thousands of potential customers to your product or services. All of the major companies such as Microsoft, McDonalds, Kimberly Clark, and Home Depot all have a strong online presence. This online front can serve not only as a corporate presence but can also serve as an alternate store for customers to buy products. 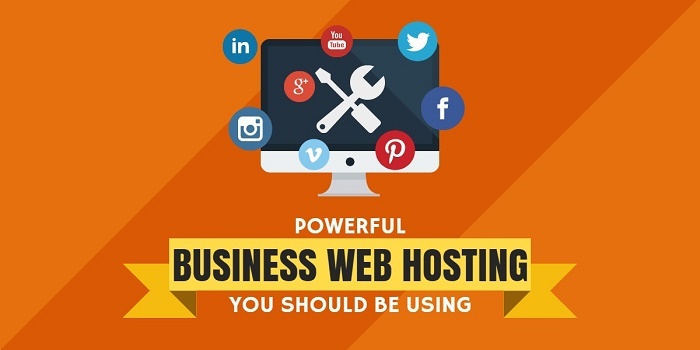 To make a solid business website, you need a solid web hosting provider. A lousy provider will have bad uptime, horrible technical support, and many other deficiencies that a corporate website simply cannot tolerate. Choosing a good host for a corporate website is extremely important and many steps must be taken to ensure quality once you are with a host. The first step is to contact the sales team and see how long they take to respond and how helpful they are. Keep in mind that the sales team usually responds a lot faster than technical support unless you are a large priority customer. For a corporate website, less than 2-hour responses should be mandatory for the pre-sales question. If they cannot respond within that short time frame, it likely means they do not have 24/7 support staff on—site at all times and will not be able to provide around-the-clock help. As such, they should not be your choice for a host to host a corporate website with. If they do answer back to you in this short time frame, ask them some basic questions about the service such as uptime, bandwidth allotments, terms of service agreements, and other basic facts that salespeople should know. If they cannot answer these questions quickly and efficiently, you should go seek to host elsewhere. Clueless sales-people usually translates into bad technical support people for the same company and should be avoided. After talking with sales, check to see if you can talk with technical support as well. If they let you, this should be a big plus for the company because it shows that they are confident in the abilities of their technical support staff and they care enough about potential customers to spare some of the technical support staff’s time. Be sure to ask technical support good questions such as server specifications, CPU/RAM usage allotments, guaranteed uptime, and which providers they use for bandwidth. You may also want to ask some questions about script usage on their servers. If the technical support gives sluggish, not-so-sure answers, you should look for another hosting solution as that is the kind of support you will get when you are a customer. Before you make the final decision to buy, be sure to go to webhostingtalk.com to ask about other people’s experiences with the host. If no one has any experience with the host, it is a new host and you should look elsewhere. If people have many negative things to say about the host, you should also look elsewhere. But if reviews are generally favourable, then you may have found yourself a good hosting company. Aside from technical support, four other things should be looked at when choosing a corporate hosting. Most hosting plans will have no trouble giving you enough disk space. But to be safe, you should estimate how much disk space you need for your corporate website. This includes all HTML and PHP/ASP/JSP/etc files you will need for your website, all images that you will need for the website, any flash/video/multimedia files you need for the website, and all database data that you will need for the website. Make sure to give yourself 30% extra space over this calculation to make room for expansion possibilities. Next, you should look at the bandwidth allotment for your website and make a calculation based on what you think you will need. Bandwidth calculations are quite simple. You take the average size of a page(with all images and multimedia included), multiply that by the average number of page views per visitor, multiply by a number of visitors per day and then multiply by 30 to get the total amount of bandwidth you need for the month. Also, watch for hosts that have daily bandwidth limits(like Servage) rather than monthly ones. As a rule of the thumb, always allow for 30% more bandwidth than you currently need for expansion purposes. The third thing you should look for is features that come included in the web hosting. Things that should be in this category should include programming languages supported(PHP/ASP/JSP/ETC), database types supported(MYSQL/MSSQL/ORACLE), amount of simultaneous database connections allowed, and any additional frameworks or add-ons that come with the hosting plans. Be sure the features that the hosting service offers covers all your needs. You need to be as nit-picky as possible and look out for things like CPU cycle limits, safe mode restrictions in PHP, and other things that will restrict the ability of your site to function to its full potential. This basically means the % of the time that the host can guarantee your site can be up. For a corporate site, this number needs to be at least 99.5% if not 99.7% or 99.9%. One hundred percent is near impossible to achieve(although hosts like RackSpace claim it) as there will always be server maintenance time where your site will have to be down for work to proceed. Think about it this way, at 99.5% uptime, your site will be down roughly 43. 8 hours a year or nearly two days per year. At 99.7%, this drops to 26.28 hours or a little over a day and at 99.9%, this drops to 8.76 hours or a little more than 1/3 of a day. Corporate hosting should have a clause for refunds if downtime goes above the guaranteed maximum amount. You should also make arrangements with your host for server maintenance to be done at the times when your website has the smallest amount of traffic so you will lose the minimum amount of potential customers during this time. Hosts should also give a heads-up warning of when maintenance is going to take place. Having good uptime, adequate bandwidth, enough disk space, and good technical support are all crucial for running a corporate website. Besides the technical specifications, another thing that is important for corporate websites if they plan to do e-commerce is security. For any type of financial transaction, a valid 128-bit encrypted SSL certificate must be present. If one is not present, people will not buy from your site because of the risk of having their credit card number or bank account number stolen from them. An e-commerce site without SSL encryption is often not taken seriously as a legitimate storefront. Now since we have looked at the most important factors for corporate hosting, let us look at some of the options for hosting solutions. This should not actually be a choice for corporate web hosting as free hosting often squeezes thousands of accounts onto a single server which makes for poor performance and slow server speeds. Bandwidth also tends to be of poor quality and the bandwidth pipes are just not big enough to handle the amounts of traffic that the 1000′s of sites demand. 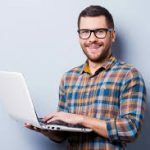 Technical support is usually poor or non-existent because free hosts don’t have the budget to actually hire any kind of technical support staff. You will most certainly not get on-demand 24/7 support because the host has no way to maintain that sort of staff. Database connections are severely limited on free hosts and even that is not enough to keep their servers from constantly overloading and crashing. Accounts are easily suspended for over-usage of resources or just for any particular reason the free host feels like suspending you for. In addition, people will not take you seriously as a business if you reside on a free host. It is easy to find out where you are hosting by looking at DNS names or following a traceroute. If it is found and made known that your site is on a free host, your business will lose much credibility. Personally I would not trust any business that runs off of a free host because if someone cannot pay $5/month for a hosting service, how can I possibly take them seriously as a business? This is possibly a good starting point for a non-e-commerce business. Shared hosting puts you on a server with many other users like free hosting although that ratio of users per server should be lower than on a free host. There are many companies that grossly oversell shared hosting such as 1&1,Powweb,Servage, and Ixwebhost, among others. For a corporate website, I would highly recommend staying away from these hosting companies because the amount of accounts they need to pile on a server for things to financially work out is horrendous and you will often suffer uptime issues, bad technical support, slow servers, and being suspended for absolutely no reason at all. If your going for a shared solution for a corporate website, you need to not look for budget hosting options and instead go for the more expensive but higher quality hosting options. Good examples of such are media temple hosting and downtownhost.com . I personally do not use either of these services but have heard nothing except for good reviews about them on web hosting forums. These high-quality shared hosts will give you a good start and also provide options to upgrade to larger solutions once you are ready to expand. Semi-dedicated hosting is a mixed bag for corporate websites. Semi-dedicated hosting may allow for higher burst rates of usage than VPS(Virtual Private Hosting), but you also run the risk of getting suspended if your account keeps using a lot of CPU and RAM. In a semi-dedicated environment, you are generally put on a server that has a very low client to server ratio and there are far fewer people competing for resources. But since the server is not sliced into sections, everyone is still sharing a communal pie which means one person can slow everyone else down if he or she is experiencing peak usage ratios. This is generally much better than a shared plan for corporate hosting but at the usual prices these packages are offered at, it is probably better to go with a VPS since both are about the same price. If you’ve outgrown your shared host then a Virtual Private Server may be the next step you need to take. On a VPS server, you share a server with relatively few clients like in a semi-dedicated plan. However, unlike a semi-dedicated plan, each account is sliced off into a separate area by itself. This means that no one else can use your allotted resources. Similarly, you cannot borrow anyone else’ resources. This prevents one user from slowing everyone else down. However, if you are that one user that constantly demands all of a server’s resources, you may have a slow website. In a VPS you will not get suspended for over-usage because you can’t really over-use anything. You have a set amount of CPU and RAM you can use and a “burst RAM “ rate for emergencies. This type of solution is safer than a semi-dedicated solution and is a good stepping stone between going from shared hosting to having a dedicated server all to yourself. Make sure to get a VPS with a decent amount of guaranteed RAM or you will suffer slow website loading times. In this environment, you have the server all to yourself and are not sharing with anyone. All the CPU and RAM is guaranteed to one person so you don’t have to worry about other people. However, unlike a VPS, that is all the resources there is available and there is not a “burst rate” to take advantage of. You are also responsible for server management unless you go with a managed plan(which I recommend for a corporation). This solution is better than a VPS because it gives you consistent higher resources but also comes at a higher price. It is very important to choose a provider in a data center that has good technical support and uptime for a corporate website. Services I can recommend for this solution are LiquidWeb, Wiredtree, and Softlayer.com as all have guaranteed 24/7 support(if you pay for it) and excellent reputations. I personally use gate2vn.net and have found them great for my needs but I do not run a corporate website and response times are generally a bit longer than the 15 minute times promised by the services mentioned above. If you need the absolute best, then I would recommend RackSpace and their “fanatical support”. Their servers cost over three times the amount that other places charge but they provide on-demand phone support, fully managed service, and guaranteed website technical support chat and also 5-minute response times 7 days a week, 365 days a year(this is for real, I actually contacted them on Christmas once just to check). RackSpace will also help you move to more complex solutions if you should need them. This is the ultimate in hosting for extremely high-traffic sites. Most of the larger corporations such as Microsoft use this solution(MS also has their own data center but that cost millions to build). In this setup a group of servers are working together to fulfil the needs of your website. If you become a multi-billion dollar corporation, you will need to go this route. Places like Wiredtree or Rackspace will be happy to help you with this solution. For startup businesses, this is probably not something you will be looking at for quite a while. Now that we have looked at the requirements for corporate hosting and the possible types of solutions available, you should be armed with enough information to begin your search. All of the hosting companies in this article have solid reputations in the industry so you may want to start there. Be careful in choosing your host as it may be the success or failure of your online identity.